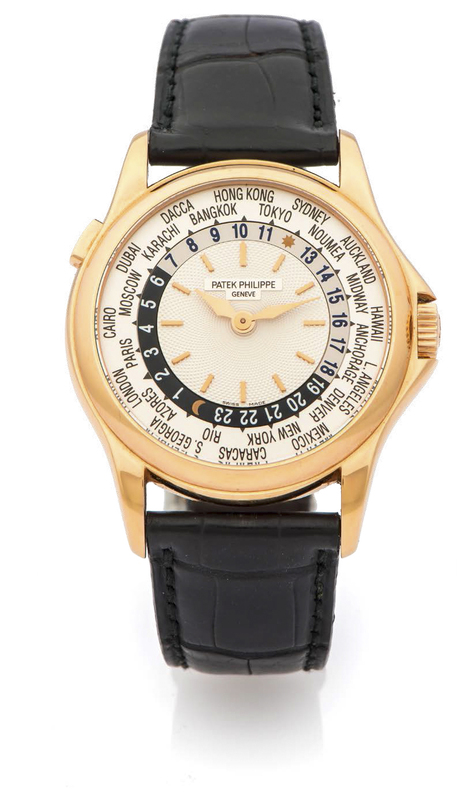 PATEK PHILIPPE WORLD TIME REF. 5110 ROSE GOLD A very fine and rare self-winding 18K rose gold wristwatch with world time. Bracelet 18K rose gold Patek Philippe deployant clasp. Accessories Original fitted box, certificate of origin and booklets.